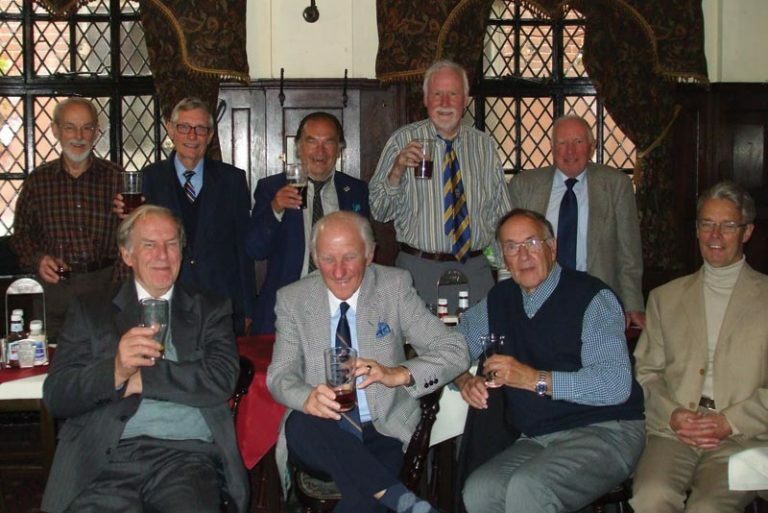 The 1951 intake enjoyed yet another Reunion, at the Cheshire Cheese, Little Essex Street, off Fleet Street/The Strand. There was general interest in a collection of postcards circulated, depicting scenes of Hornsey, from the 1900's, particularly of the Priory Road/Park Avenue North area. A toast was later drunk to “absent friends”, with particular reference to Mike Bonner, who died recently. Mike was a published author and one of his novels was circulated, containing some biographical details. He was remembered with much affection: thumbing through Mike's novel Dave Hall – a fellow member of the 1951 intake's football team, noticed that Mike had adopted “Belasco” as the name of one of the novel's villains – this also being the name of one of his pals in our football team 60 years back (one we have not so far managed to track down incidentally). Although short on numbers this year, this was in some ways as advantage, certainly to those of us whose hearing is not quite what it was, as conversations were easily heard from one end of the table to the other and we had peace and quiet as we had the top floor of the pub to ourselves most of the time. 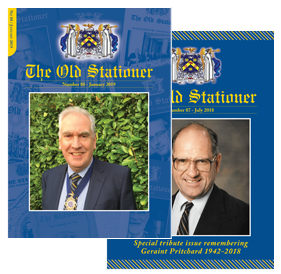 Suffice to say that some 4 hours or so went by somewhat rapidly – and a good time was had by all..
Steve Ling had hoped to attend but was not well enough due to a kidney complaint and Anthony Cirsch was also unable to attend due to health reasons. Also Roy King has now become a full-time carer, due to his wife's illness. Of the others, Alan Canham was winner of the “Cherriman” award from the Amateur Swimming Association and as a result was giving a presentation on the teaching and coaching of swimming; John Partridge was up in Manchester; John Taylor was visiting family in Australia; Bill Houlsdsworth was attending a Chapter meeting; Brian Whitehouse was also officiating at a Chapter meeting and apologies were also received from Peter Jollie, Michael Davis, Rodney Cooper and Alan Marshall.